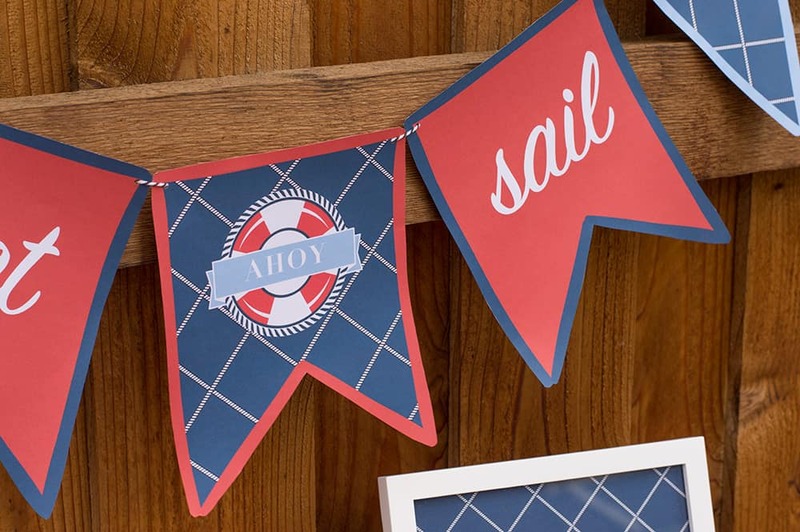 You can now grab these free nautical printables on my blog. Ahoy! It’s almost Summer time and that means it’s time to set sail. 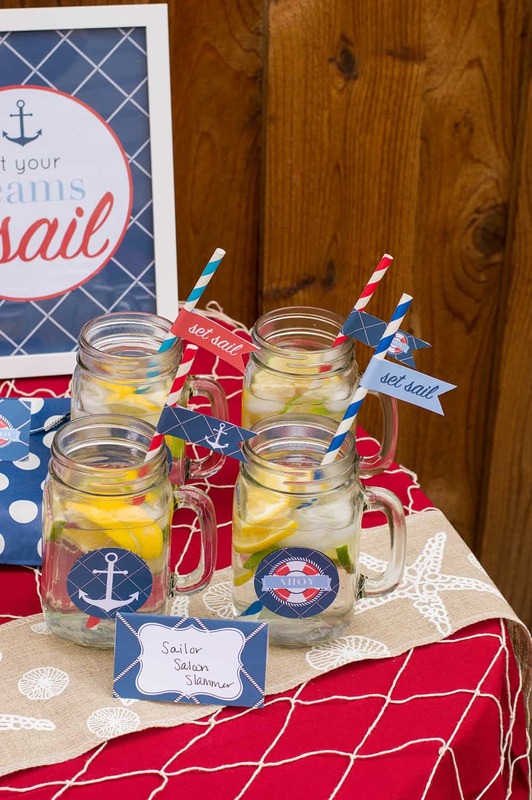 Why not throw a Nautical party, a popular and fun theme for this time of year. 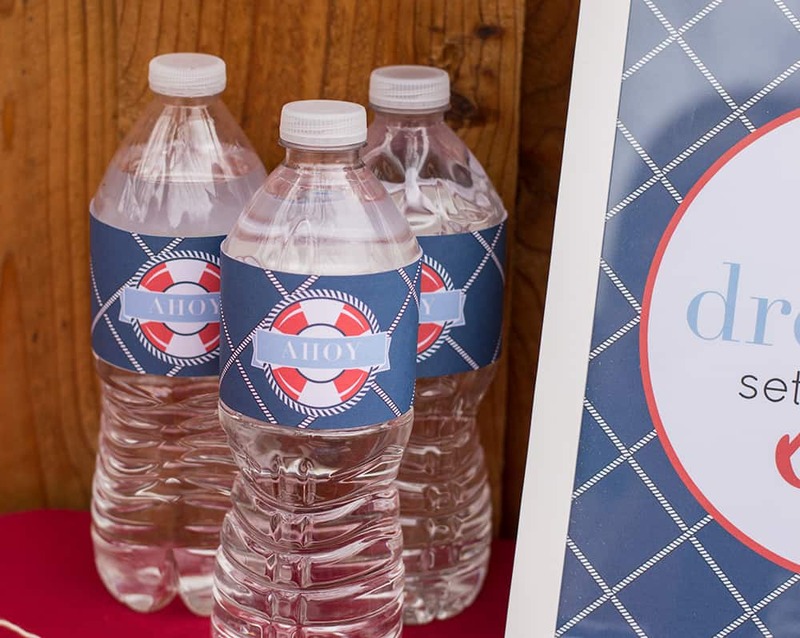 There are so many ways to incorporate this theme with little details throughout your party. 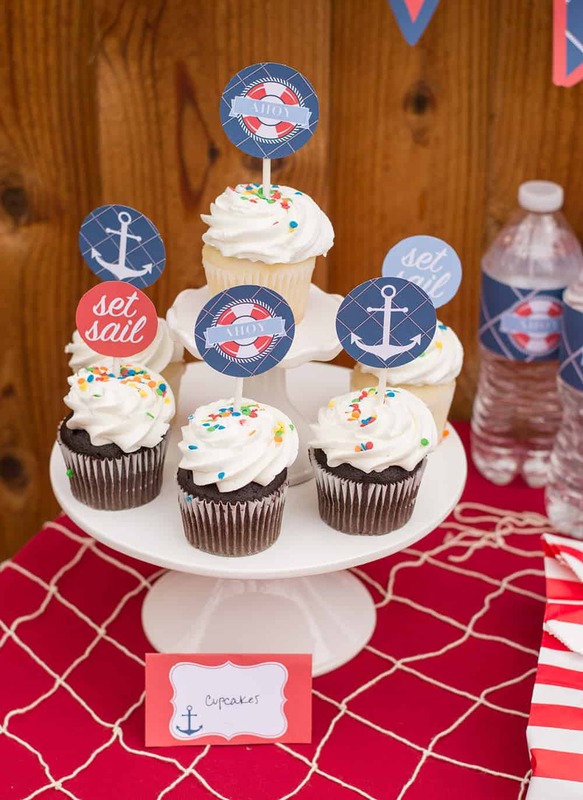 I had the pleasure of designing a set of free nautical printables for Catch My Party. 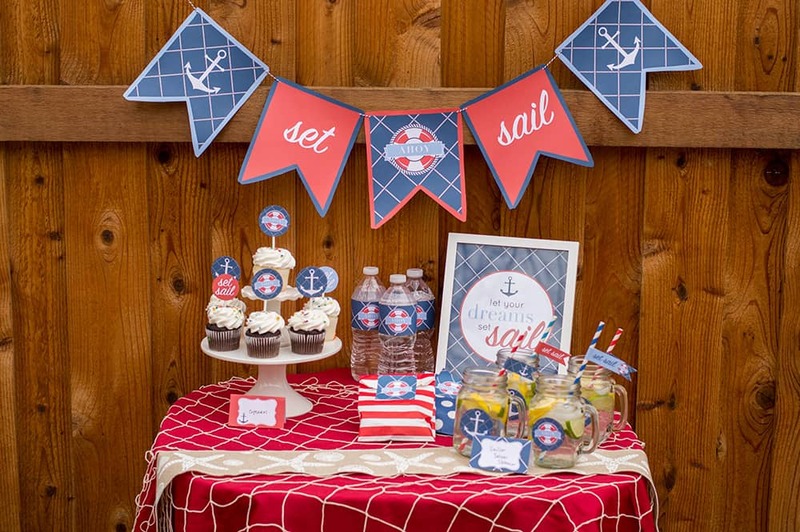 For this setup, the biggest emphasis is on the party printables itself. 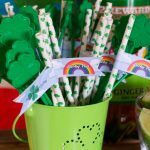 It’s amazing how you can put together a fully coordinated party with simply a great printable set that you can easily print at home. 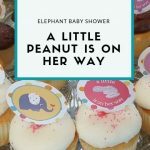 Scroll down to see these printables in action. 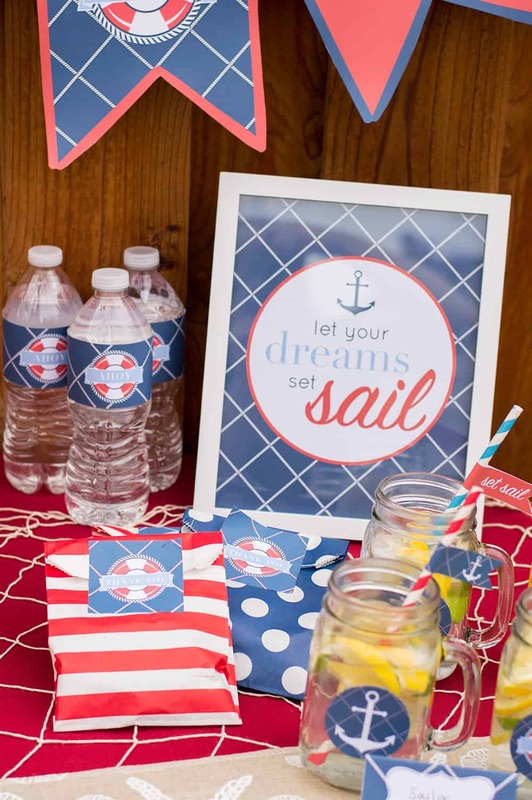 What’s Included in the Nautical Printable Party Set? First of all, I’m super excited to let you know that this printable set is free! The set is super easy to print and assemble and you get a ton of items to make your party look cohesive and very put together. I recommend printing on card stock and label paper for a sturdy set that will last the life of the party. You can now get this set on my blog. Or head over to the Catch My Party website here. 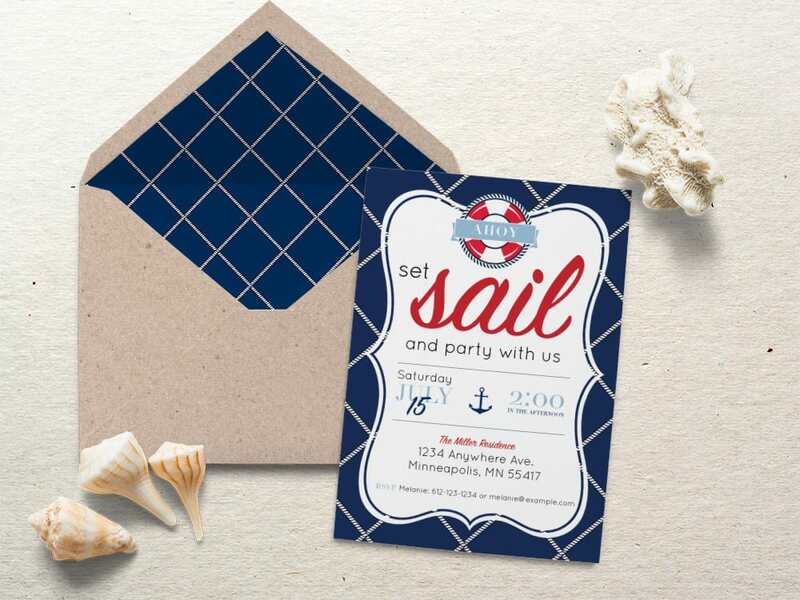 If you are looking for a matching nautical invite in this set, you are in luck! 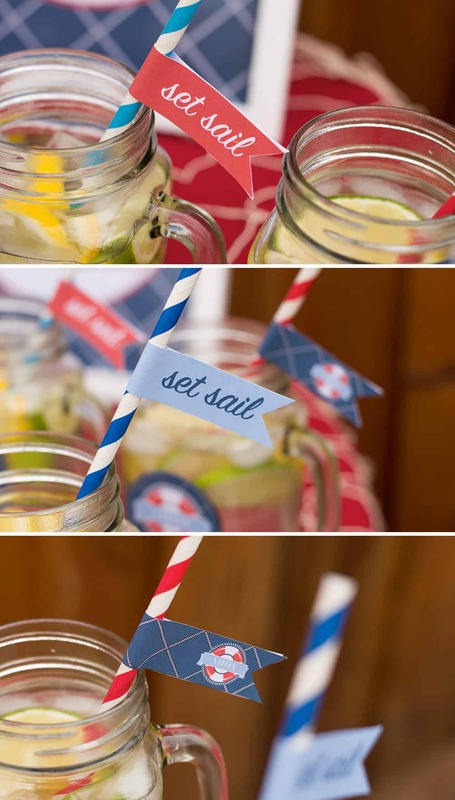 I have a few options in my Etsy Shop, including this nautical invite below. Red Table Cloth – I just used a rectangular one, but you can also use a round one. Cupcake sticks – cut them down to the size you like, or simply sink them deeper into the cupcake. 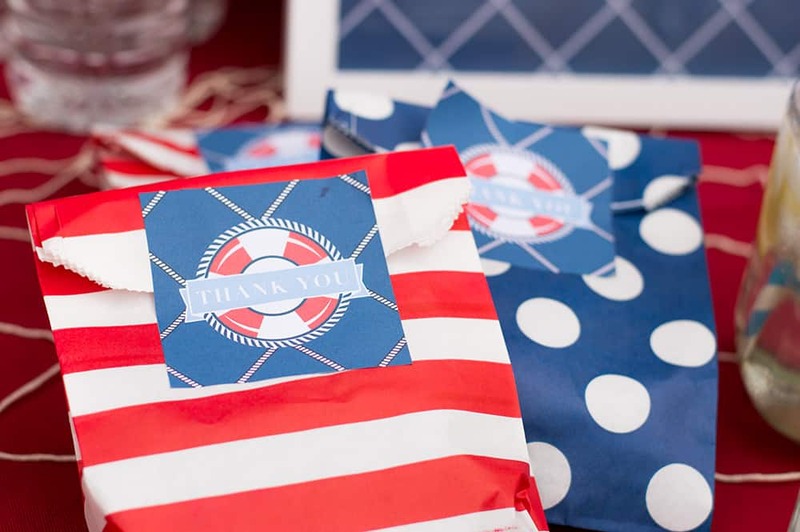 These favor bags aren’t quite the same as pictured, but I love the idea of mixing the red and blue patterns. 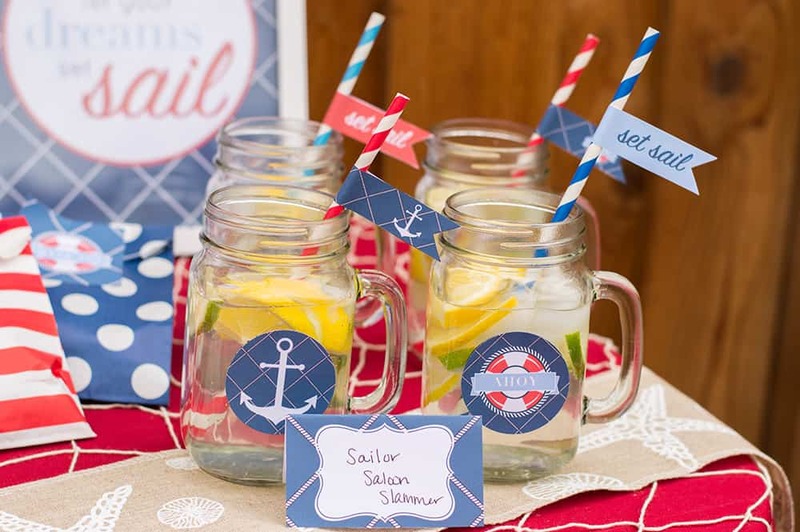 Mason Jars – I found these at a bridal consignment store, but this set is a great deal. Wouldn’t it be so cute to add these charms to each glass? 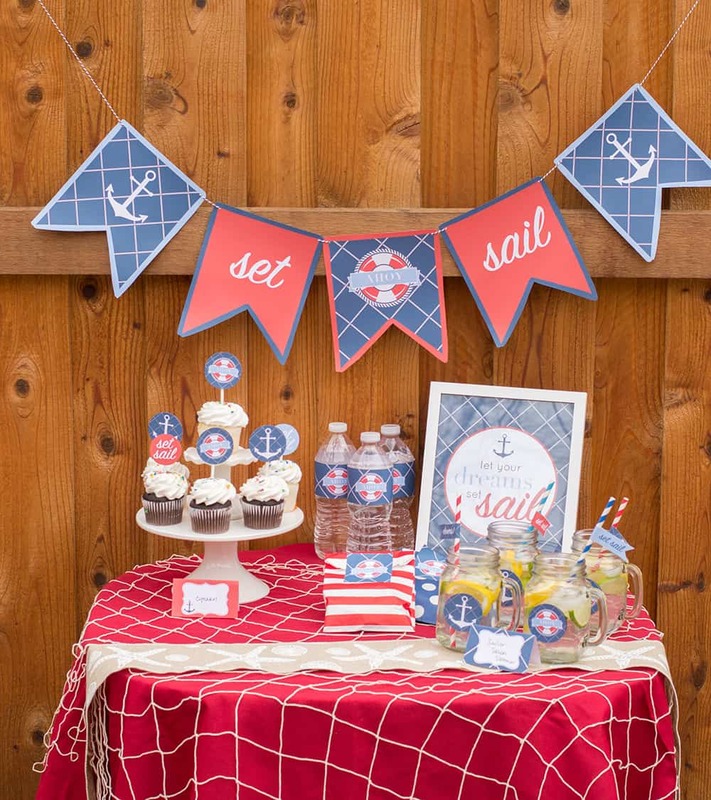 Also consider adding in other nautical elements such as rope, a decorative boat, and buoys. 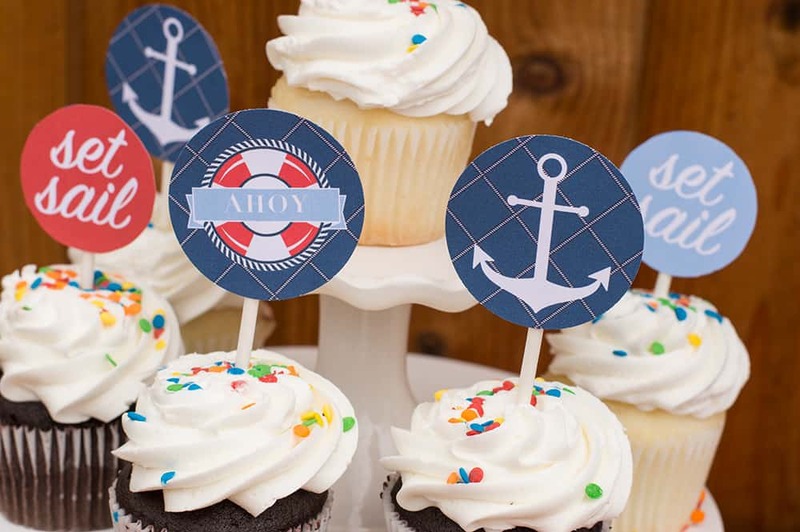 If you are throwing a nautical bridal or baby shower, these nautical hair tie favors would be an excellent choice. 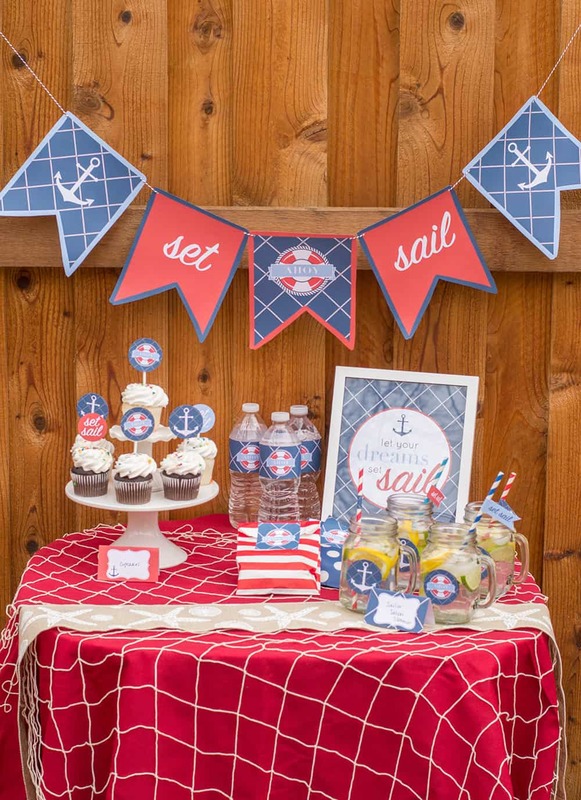 If you like this party setup please consider sharing on social, and then go get your free nautical printable party set. 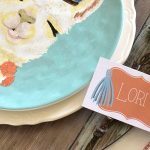 I’d love to see what you put together with my printables. Share your party photos with me by tagging me on Instagram (@elvamdesign) and hashtag #elvamdesignstudio. Hi there, have signed up to your newsletter. 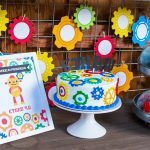 How do I go about getting access to the free printables? Hi Brooke! Hope you were able to access the printables. Once you confirm your subscription, come back to the post and it will either be unlocked or you may need to re-enter your email address in the form. If that doesn’t work, please reach out to me via email at [email protected]. Thanks for subscribing!